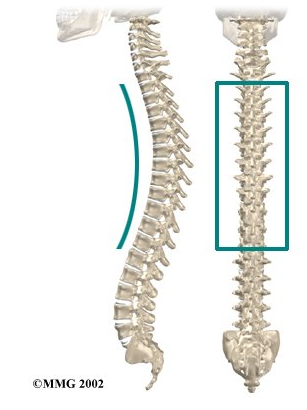 Welcome to the The Avenue Clinic’s resource about mid back issues. Regardless of what you think, a degenerative disc isn't a music CD that you don't want your kids to listen to. Rather it is an incredibly painful Mid Back condition that is less fun to deal with than a mini-van full of teenagers listening to the latest song by Lady GaGa. If you currently suffer from Mid Back problems that are getting you down, both in spirit and in posture, it's time you did something about it. This area of our site is designed to help you know what to do and how to fix Mid Back pain that could be caused from ruptured or bulging discs or to help you determine if you pulled a major muscle while cleaning your kid's room last weekend. You don't have to live with Mid Back pain, your condition, more than likely is completely treatable when you enlist our help. However, you might have to live with the music your kid plays, at least until they go to college.